Listed real estate developer DoubleDragon Properties Corp. has announced that the final price for its follow-on offering is Php30 per share, according to a notice it submitted to the Philippine Stock Exchange (PSE) on June 28. That is 23 percent higher than its closing price of Php24.40 on the same day. The final offer price is at the lowest end of its original price range of Php30 to Php40 per share it indicated earlier in its offering prospectus. The company stands to raise as much as Php4.5 billion if it will be able to sell all 135 million new shares and 15 million over-allotment shares. The offer period will last from July 2 to July 6. Investors can buy a minimum of 100 shares, with additional stocks being able to be purchased in increments of 100. Proceeds from the offer will be used to fund DoubleDragon’s projects in the hospitality and industrial sectors. The company will also use the capital to acquire land for future developments. 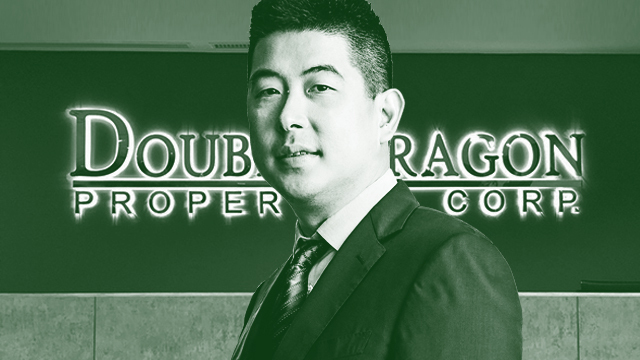 Established in 2010, DoubleDragon is headed by Edgar “Injap” Sia II, who co-founded the company with Jollibee Foods Corp. Chairman Tony Tan Caktiong. It has major property developments in the retail, office, hospitality and industrial sectors, the most prominent being its CityMall chain of provincial malls. According to Sia, the follow-on offering is targeting investors who weren’t able to participate in its initial public offering (IPO) in 2014. A follow-on offering is a share issuance done after a company has already listed on a stock exchange. According to the offer’s prospectus, up to 80 percent of the newly issued shares will be offered to institutional investors based outside the Philippines, a market Sia hopes to tap with this follow-on offer.